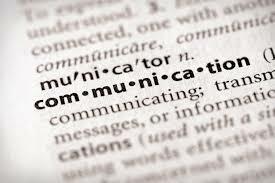 Communication is a vital part of today's world, whether a skill used professionally, socially or in your personal life. We welcome you to explore one of the many areas of Communication Studies by taking a class at Gavilan College. The Communication Studies faculty at Gavilan is dedicated to providing students with the knowledge and skill about human communication that can be applied to various contexts in your life. Whether it be improving on your public speaking skills, working with a culturally diverse group at work or developing skills to better communicate your wants and needs to family and friends, our curriculum is academically structured to meet your needs based on the specific course that you choose. This one of the fastest growing degrees offered at Gavilan College, demonstrating the importance of communication skills in our world today. Welcome to the Department of Communication Studies! We invite you to become a part of one of the fastest growing majors on campus! Don’t hesitate, Communicate your interest in pursuing a degree or certificate in Communication Studies. Ask your counselor or contact Denise Besson at dbesson@gavilan.edu for more information! 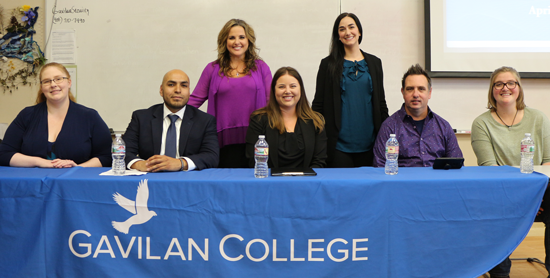 Communication Studies students stayed late on campus to hear five alumni share personal successes, redirection and resets as they pursued their dreams while studying at Gavilan College. alumni (seated l-r) Jeanné Hopkins, Jorgé Gonzalez, Simone Reyes, Danny Dequin, Kayt Anderson. Kayt Anderson (2013), currently Children's Ministry Director at Gilroy Presbyterian Church, started her career at Gavilan inauspiciously. First, her dad dropped her at campus with the instruction, "Don't come home until you have registered for classes." Fulfilling that order, she started and then failed her first communication class. First reset. Re-enrolling, she took all the communication classes, even if she did not need them to transfer. "It gets better," she said to a supportive audience. "But I still get scared when speaking words not already written down." Transfer she did, to Humboldt State University. There, Anderson learned to communicate with many different types of people, landed and lost jobs, and walked the hard path to graduation. She credits the conflict resolution class as helping a great deal. Whatever pathway you take," said Anderson, "be your own advocate. Know your options, as no one else can advocate for you." Danny Dequin (2011) found the transition fresh out of high school to college difficult. His first semester, introduction to public speaking was the only class he passed. "I worked a number of jobs, met a lovely woman and wanted to ask her dad for her hand," he said. He thought being enrolled in college would help boost his chances. For two years, he was the voice of Gavilan Rams sports, but breaking into a higher level of broadcasting had barriers. Instead, the family insurance business beckoned. His grandfather was the first Farmers Insurance agent in the area, then his mom managed the firm for almost four decades. Dequin took ownership of the agency this year. "These communication tools you will take with you everywhere you go, every single day," he said. "Whatever you go into, communication will be involved." Simone Reyes (2008), described a series of bends in her path, happy accidents, that shaped her career. An aspiring film major, she debated whether to attend Gavilan or go away to college. She finally opted to start at community college because it was less expensive. She landed in Denise Besson's communication class, declared as a communication studies major and set her sights on her dream school, transferring to University of San Francisco. After one semester, disappointed with the program, feedback, commuter school vibe, she landed back at Gavilan. Communication studies faculty connected her to SJSU faculty who helped her to transition there. During her SJSU studies, she enrolled in the wrong writing course filled with justice and prelaw students. One of the assignments was to write a personal statement about grad school, something Reyes had not thought about. "I looked at the SJSU list of MA degrees and wrote mine for the counselor ed program," she said. "I completed that assignment three years before actually applying to the program." While working toward her BA, she landed an internship that would lead to a full time position. Six weeks after graduating, she was told she was one class short and her job offer was rescinded. Back she went to Gavilan to take the missing history class. "All these accidents taught me I can advocate for myself," said Reyes. Anger and disappointment turned into a happy accident when she found that old writing assignment. She used her personal statement when enrolling in the MA program. "As a counselor now at Gavilan," she said, "I am determined that those mistakes don't happen to other students." Jorgé Gonzalez (2016) arrived at Gavilan after nine years of military service. He started in kinesiology, but bailed out after the sciences proved too challenging. "It was a hard shift from the military, to come back," he said. He credits Besson's interpersonal communication class as life changing. "We think we're listening, but mostly we're just waiting to respond. To find a connection, you have to be able to really listen to people." Gonzalez transferred to SJSU and earned a degree in communication studies with emphasis in counseling and public relations. "The classes allowed me to step out of my comfort zone," he said, "and to express myself in a tactical manner." Jeanné Hopkins (2007), now works as a criminal intelligence analyst, and her career path included restaurant management and opening bookstores. Working as a probation officer remained elusive but she kept at it. "Keep taking that next step," she said. "And make sure your instructors know who you are." The job opening showed up in an email, and Hopkins applied. "Get your AS degree," she said. "It really matters. I applied for a job other people were more qualified for, but I had the degree." All of those cool things you volunteered for? They go on your resume as well, and the experience opens doors. career strategies, professional and personal networking. What is the one skill from communication studies that you took into your life and career? Jeanné Hopkins Whatever you are doing to make money, keep doing your passion on the side. You never know when opportunity will show up. Kayt Anderson Be authentic, find your identity and be true to yourself and the people around you. Jorgé Gonzalez I gained confidence in everything, in life. Confidence will get you to many places. Simone Reyes Communication got me comfortable with the gray areas of life that don't always go as planned. There are going to be curveballs, and communication laid the foundation to build wonderful, meaningful, healthy relationships with the people around me. Danny Dequin Communication. I do this in my everyday life so effortlessly that I don't even think about it. But it was learned. I use intro to public speaking, interpersonal, to intercultural to group communications every single day. Communication Studies major Michele Castro is on an educational journey that makes us proud to have her as one of our alumni. The Fast Track Series - Earn your Certificate in Communication Studies in one semester. Being a Model in Utilizing Resources and Marketing the Program. The faculty emphasized a student-centered pedagogy and the importance of shared leadership between full time and part time faculty alike. Service Learning and CommClub were also noted as being important components to the success of the department. Presently the 5th largest major on campus, it's no wonder the department is successful as they model what they teach amongst themselves everyday as a team of colleagues devoted to the teaching of the discipline Communication. Pictured from left to right : Award Presenter Mary Claire Morr Serewicz, University of Denver, Award Recipients: Denise Besson, Shelley Giacalone, Christina Avila, Adrian Andrade, Michelle Zajac, Ellen Waddell, and Donna Cowan. 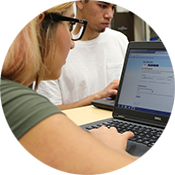 The Communication Studies Program at Gavilan Community College has built a reputation for offering academically challenging and engaging courses while not compromising pedagogical passion for the discipline. Just ten years ago, this program offered only two types of communication courses taught by one full time faculty member. As enrollment increased, so did the demand for additional coursework within the discipline as well as a degree. Within a 10- year period, there are now two full time tenured faculty members and six to eight adjunct faculty teaching at all three sites. Nine different types of Communication courses are offered with an option of pursuing an AA degree in Communication Studies as well as two Certificate of Achievements recognized by the State Chancellor’s Office. Most recently, Communication Studies was the first on campus to offer the AA-T degree that guarantees transfer into a 4-year university. In a recent report to the Community, Communication Studies was recognized as was one of the fastest growing majors on campus placing sixth in 2010 and fifth in 2012. Institutional research identified that in 2009-2010 there were 48 declared majors and within one year that number increased to 119 declared majors. These numbers were most impressive, since it was only in 2005 that the first Communication Studies major was declared. Don't hesitate to enroll in one of our many courses and empower yourself. 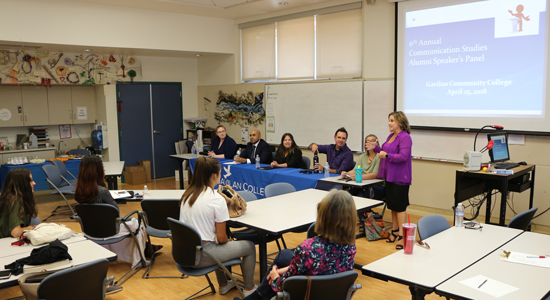 With offerings every semester in Gilroy, Hollister and Morgan Hill, we are available in your area to educate you about Communication Studies. Please take your time to explore our department homepage links. 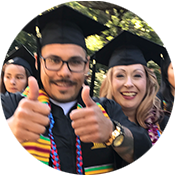 You will find information about the courses taught, the Certificate of Achievement in Communication Studies, and about the faculty teaching for Gavilan College.